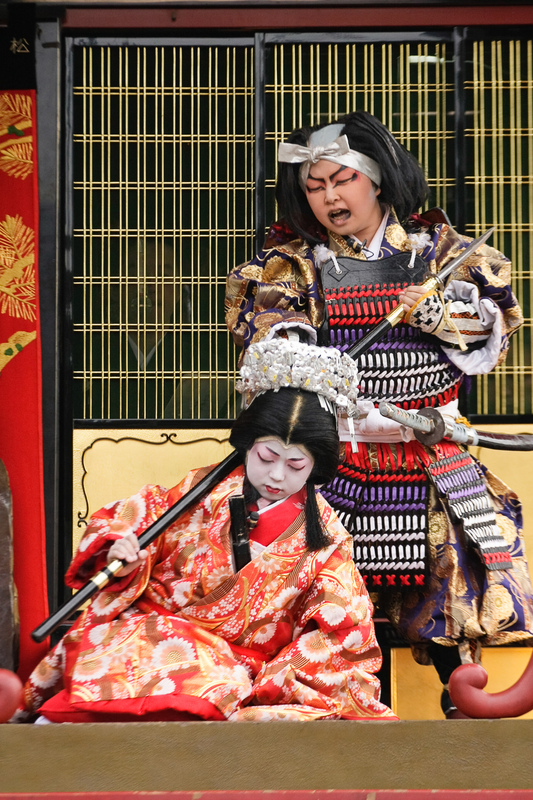 (English) It is said that Maibara Hikiyama Festival started in the latter half of the Edo period (1603 to 1868). 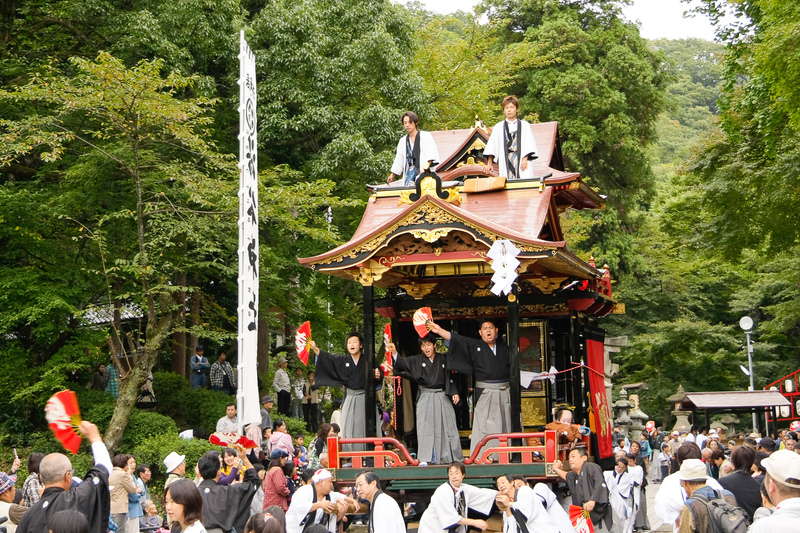 Young people from each mountain group pull these hikiyama festival floats in dashing happi coats. 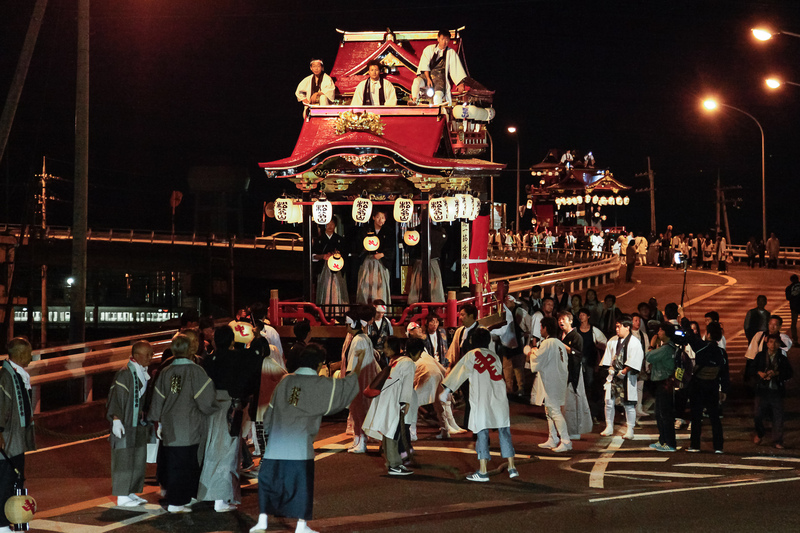 The hikiyama are pulled to the west side of the station on the eve of the festival vigil and are then returned to the east side that night to climb the steep hill road to Yutani Shrine.